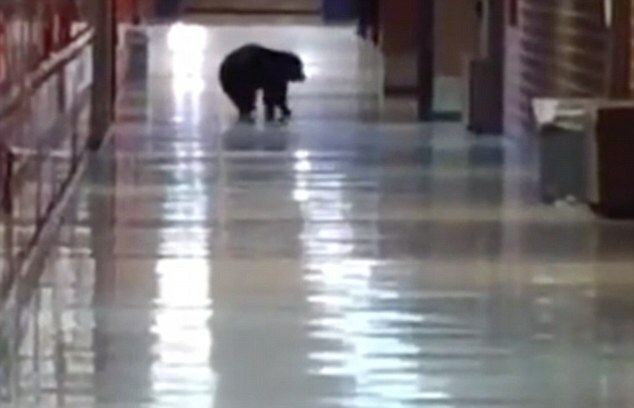 Staff and students at a Montanna high school were surprised to find a mighty visitor roaming the halls this morning. Teenagers arrived for classes on Wednesday to discover a large black bear wandering round Bozeman High School. The unannounced visitor was first spotted out in the football field at 7.30am by members of the booster club. 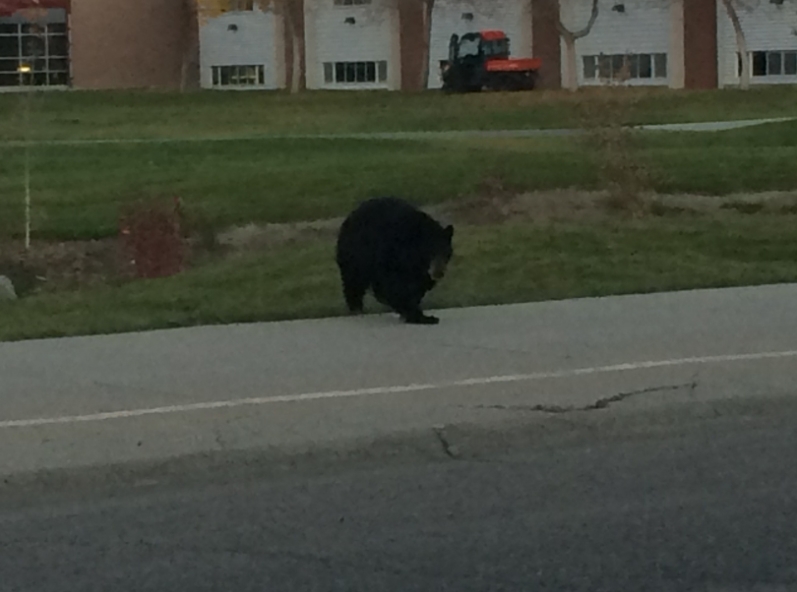 Fish, Wildlife and Parks division spokeswoman Andrea Jones said they will be monitoring the bear if it returns. Note: The Great Bear is found on every continent and comes in many sizes and colors. The bear is revered on every continent, especially North America where the indigenous people who believe it was once human and Great Mystery lives in the spirit of bear. Native Americans believe that Grandfather Bear gives strength, introspection and knowledge. 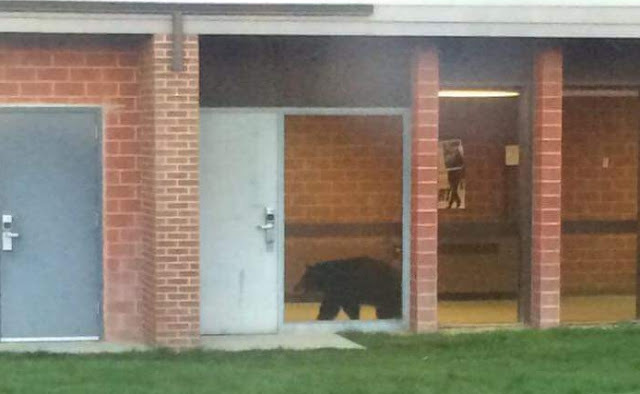 Responses to "High School Students Find A Black Bear Roaming Their Halls"